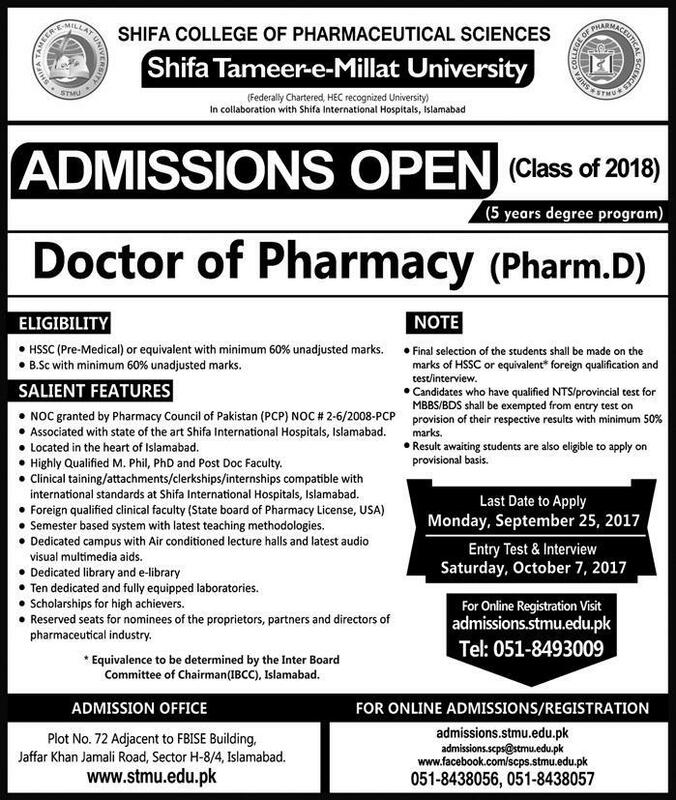 Shifa College of Pharmaceutical Sciences, Shifa Tameer-e-Millat University admission open class of 2018 Doctor of Pharmacy (Pharm-D). HSSC (Pre-Medical) or equivalent with minimum 60% unadjusted marks. Last date to apply: Monday, September 25, 2017. Entry test and interview: Saturday, October.